Tubeway Army – Are ‘Friends’ Electric? 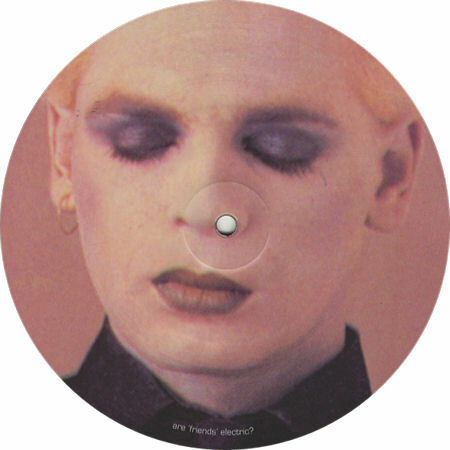 1979 Without Gary Numan’s vocals. Lyrics below. This is the real deal in 320 Kbps. You can search anywhere. Other than here, this instrumental track does NOT exist, that was never released. I made it myself. It’s as close to perfection as I could manage. Personally I’m very happy about the end- result, and that seldom happens. The track features three different sections: a recurring “verse” with a synth riff in C and B flat, slow arpeggiated seventh chords, and an instrumental break in F. The instrumentation is quite minimalistic: a drum-track and bass guitar backing track, an additional heavily flanged guitar and, most prominently, my 1979 analog Minimoog synthesizer. These synth parts include a slow-paced LFO’d Sawtooth bass riff, and some portamento background lines. Basically quite simple to replicate if you have the right gear! Please leave a comment and subscribe. More to come on this channel. via Tubeway Army – Are ‘Friends’ Electric, 1979 HQ Instrumental + Lyrics – YouTube. PreviousThe 20 best goth songs of the last 20 years… apparently!